Today I have a fun guest post for you! 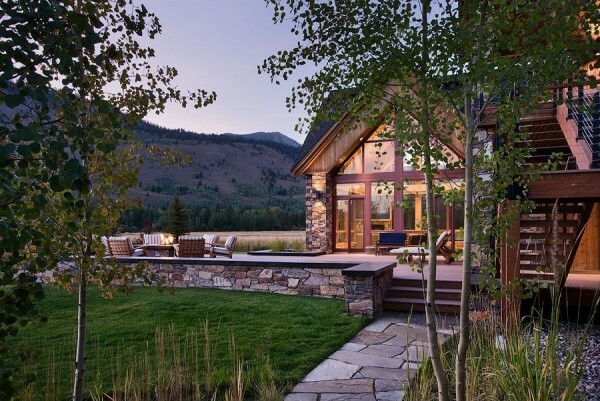 Tali from Zillow.com is sharing 3 Tips for creating a rustic-style patio! Barn tables, exposed beams and other hallmarks of rustic design have been gaining popularity among environmentally conscious homeowners looking to create sustainable living spaces. Whether focusing on entertaining or simply relaxation, pairing organic natural elements with stylish, functional design is a natural fit for patios, decks and porches. Achieving the look can be as simple as adding a few well-placed movable pieces or as elaborate as building permanent, eye-catching features. Here are three ways to incorporate rustic style into a patio design. From evenly laid concrete pavers to asymmetric stones, patios built of rocks or stone slabs create an earthy feel perfectly suited for the outdoors. Using a mix of stones and textures can clearly define spaces such as walkways, fireplaces or grilling areas. For a more elaborate patio, a wooden-beam pergola brings rustic beauty and function, providing overhead protection. Add potted plants, garden beds, trees or shrubs to complete the look. Whether the space is simple or extravagant, it’s not rustic unless it’s paired with nature. The best patios combine the refreshing characteristics of the great outdoors with the creature comforts of home. Oversized chairs, wooden benches or other seating options made from natural resources can add rustic flair to any outdoor space. Because the seating is exposed to harsh conditions, it’s important to invest in slip covers or opt for weather-resistant furniture and fabrics. It’s also best to stick to earth-tone colors such as brown, tan and green. Although white and cream hues are refreshing and inviting, they’re more difficult to keep clean. The more comfortable the seating, the more time residents and guests will spend on the patio. 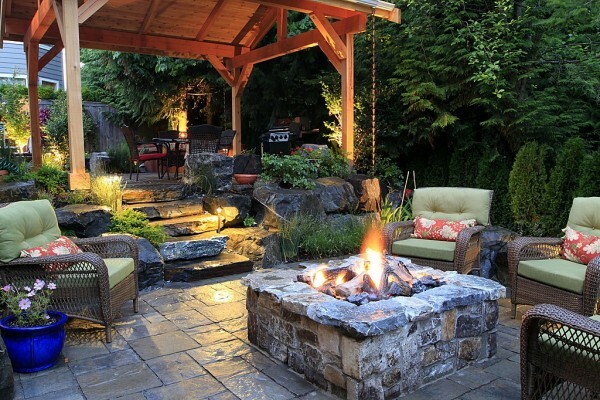 Perhaps the most alluring feature of any rustic patio is a stone fire pit. It’s the perfect gathering spot for families and friends — ideal for roasting marshmallows and sharing ghost stories. Options include a traditional fire ring, an in-ground pit or a fireplace with a chimney. Some homeowners opt for wrought iron pits or chimineas, which are less-permanent but still fundamentally rustic. Ultimately, a patio’s design should reflect the home’s overall architectural style and feel. When shopping for the perfect home, don’t be deterred by a seeming lack of outdoor space. Even small areas can be transformed into rustic sanctuaries with the addition of stone accents, comfortable seating and a fire pit. « Free Garage Storage: Just ONE More Thing Pallets are Good For!! 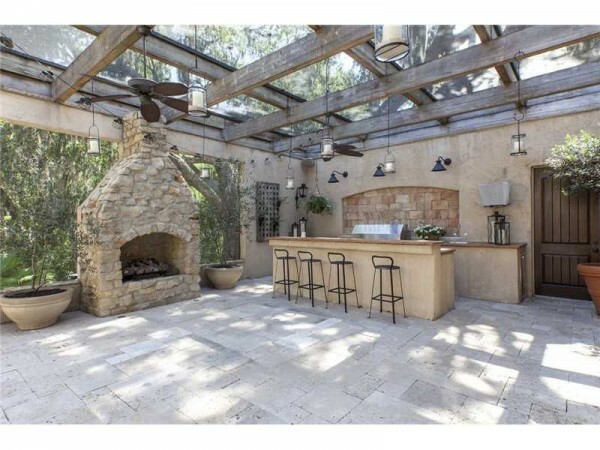 Those rustic style patios are so pretty. I could really picture my family having a barbeque and sitting around a fire pit. Using natural materials like stones and plants is a great suggestion. I plan on having a contractor come and pour the concrete this summer, and then I can start decorating! I’m planning on having a rustic style patio so I appreciate the advice and the ideas you’ve given on this site. Having a stone fire pit would be ideal and I like the example you gave. I’ll be looking for more ideas for the concrete patio I plan on making but this advice was helpful. Creating a rustic feeling can be extremity difficult especially on a patio. So, I liked your tip on using natural materials. For example, it seems like it would give you a more rustic look if you used stone paving instead of a ceramic tiling. I really love that second picture with the fire pit and the stone steps. It really reminds me of sitting on the beach in Hawaii! My husband and I are going to be paving out our patio in the next few weeks but we haven’t decided what style we want to go with. I think doing something like in that photo would be really nice and provide a unique environment for parties and get-togethers. My wife and I are trying to do some work on our house this summer. I loved this post, especially your tip to use natural materials. I’d love to have a look similar to the Alderwood Lanscape that was shown. Thanks for sharing! I agree that it is wise to have comfortable furniture for your patio. It could be pointless to spend a lot of time to perfectly style your backyard patio but then spend the majority inside because your furniture is more comfortable in there. It could be a good idea to have a cover for your patio so that you have more options for furniture because it wouldn’t be exposed to harsh weather conditions. Awesome! I love how decorative concrete added character to patios. For concrete resurfacing material, stamped concrete overlay is perfect to achieve this rustic-style patios without breaking the bank.